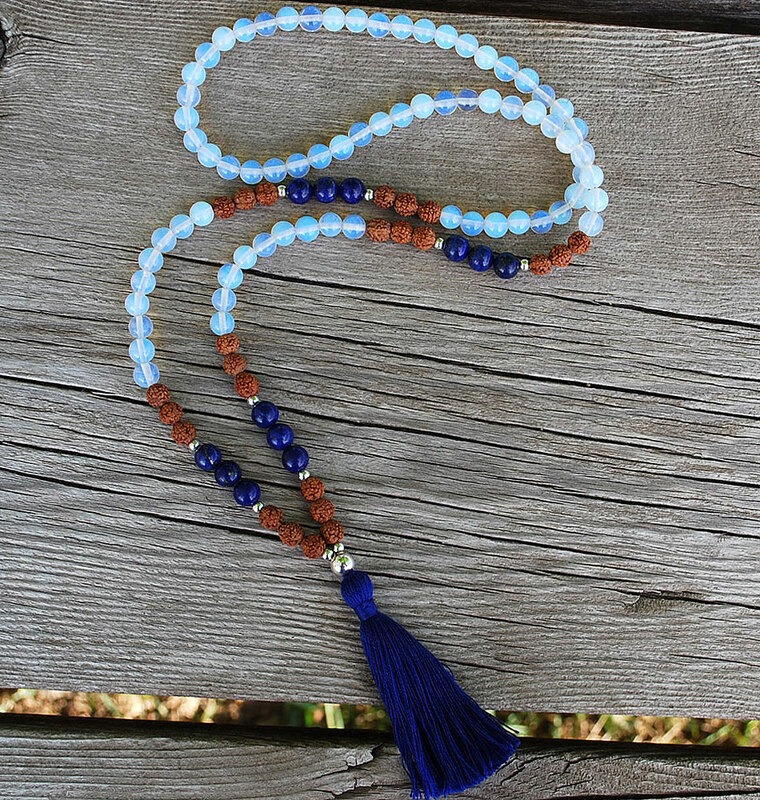 108 8mm softly opalescent Opalite & Lapis Pray Love Mala beads, with Lapis Lazuli, Rudraksha and silver markers, finished with a silver guru bead, natural cotton tassel, and Lapis Lazuli adornments. 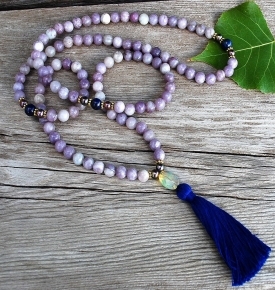 Opalite, also known as sea opal glass, is a manmade stone formed when glass is layered with metal oxides and bonded together. 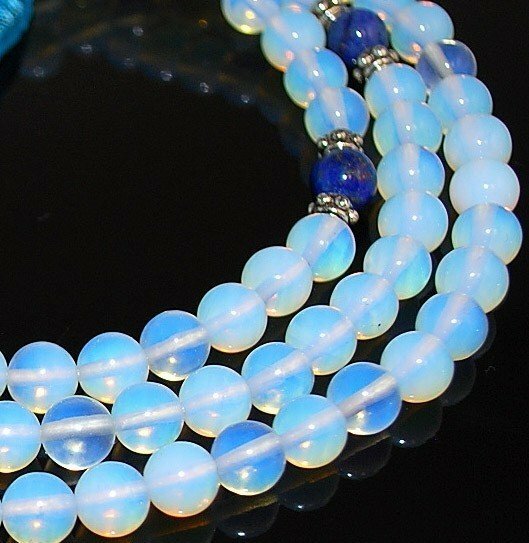 Opalite’s opacity ranges from clear to milky, and the stones take on a luminous blue glow especially when placed against a dark backdrop. 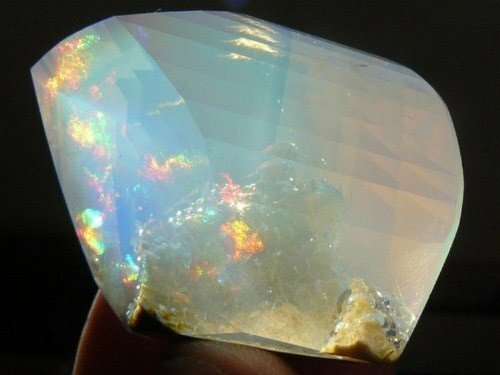 However, light passing through Opalite causes the stone to cast a warm amber glow. 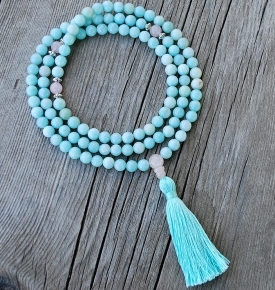 My Opalite Mala is really very beautiful. 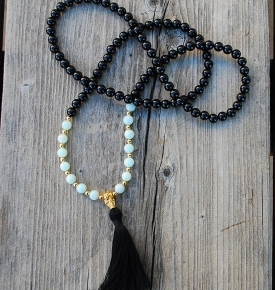 I just love this mala. 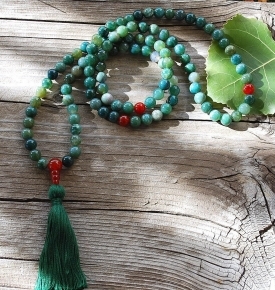 Great vibs and lovely beads.